The first quarter of 2015 has seen a moderate bounce in the polls for the government coalition parties. 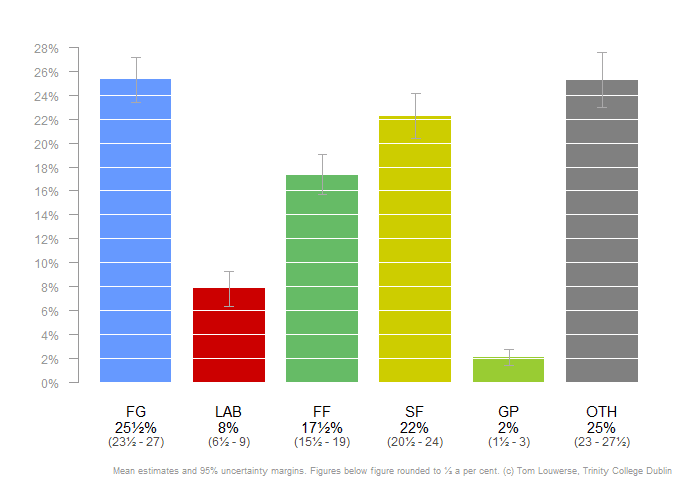 Fine Gael was at a 22% low in December, now finds itself at 25%. Labour rose from 6% to 8% in the same time. This pattern emerges from the Irish Polling Indicator, which combines all national election polls to one estimate of the parties’ standing in the polls.